Purdue University Professor Alfred Lopez from Purdue University will speak Tuesday, September 22, 2015, at 6:30 p.m. in 101 Stevenson Hall. Lopez is known for his academic work about José Martí, the founding father of Cuban independence and a giant in literature and politics. Though largely unknown in the United States, Martí is still relevant today. Born in New York City to Cuban parents and raised in Miami, López is professor of English and comparative literature at Purdue University. He is the author or editor of three previous books, including José Martí and the Future of Cuban Nationalism. 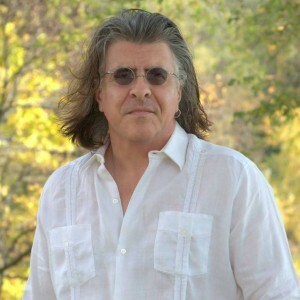 López also was the founding editor of The Global South, a leading globalization studies journal, and his work has also appeared in prestigious journals such as American Literature, Comparative Literature, and South Atlantic Quarterly. López’s latest book, José Martí: A Revolutionary Life (University of Texas Press, 2014), was presented at the Miami International Book Fair in 2015, and has been reviewed in the Washington Post, the Miami New Times, and in academic venues. This work is the first biography in English about José Martí, the 19th-century Cuban revolutionary leader. Known as the Apóstol, Martí was a political prisoner, exile, an intellectual, poet, journalist, political activist and, in the end, martyr to the cause of Cuban independence. His greatest contribution was that of uniting a deeply divided Cuban community through a new concept of nationality. His image, like that of Simón Bolívar, Miguel Hidalgo, and Emiliano Zapata, became larger than life after his death on the battlefield. He has become an icon for every side of the Cuban debate. His work is cited by everyone from Fidel Castro to the leaders of the Cuban-American community. Martí’s image appears in parks, schools, streets, and institutes throughout Cuban and South Florida. This is not to say that Martí is only relevant to Cuban history. On the contrary, he was a seminal figure in developing a broader notion of Latin American identity in the face of the U.S. interventionism of the 19th and 20th centuries. His notion of “Nuestra América” (Our America) has also been instrumental in providing a language for Latino identity in the United States.